March 1940. San Angelo, Texas. 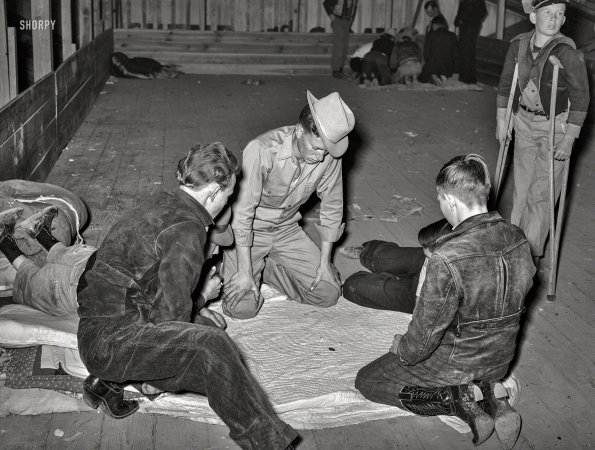 "Boys in a crap game at the San Angelo Fat Stock Show."